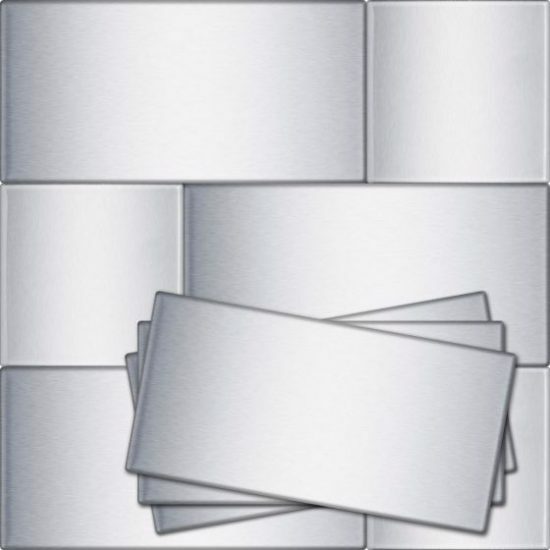 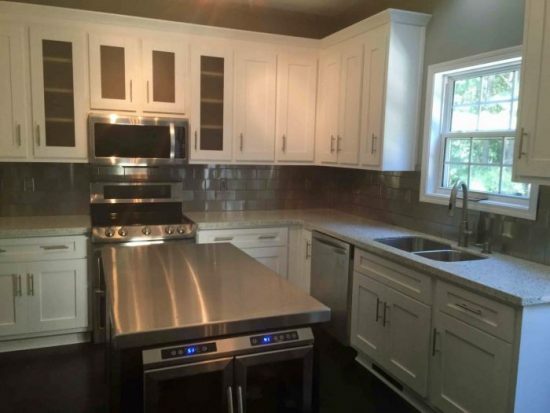 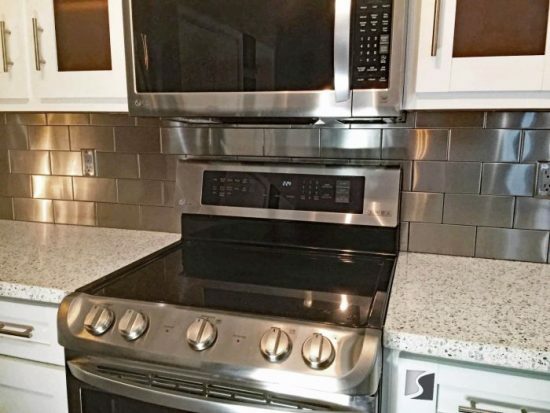 The 4 x 8 Stainless Steel Tile is Proudly Made in the USA. 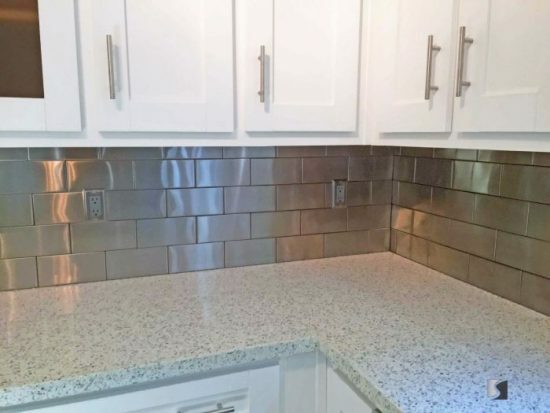 (Actual size: 4″ x “8) Want that classic subway look, but with a less busy pattern than the standard sizes? This tile is the “class” in that classic look. Equally useful for residential and commercial applications. 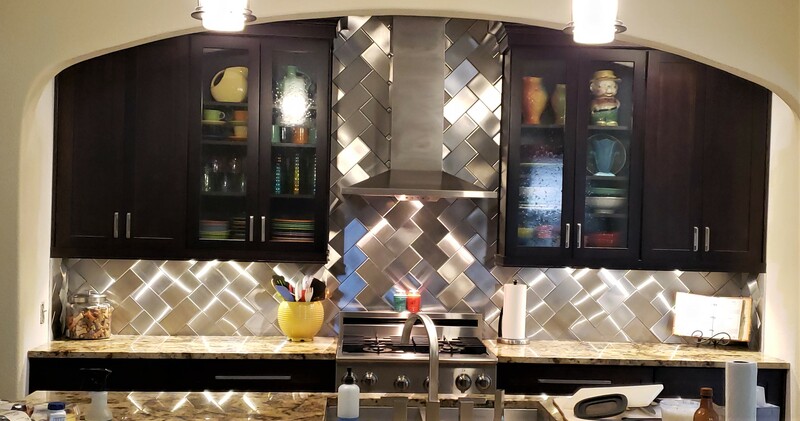 Similar to the size and shape of brick, they can be installed in many different patterns. 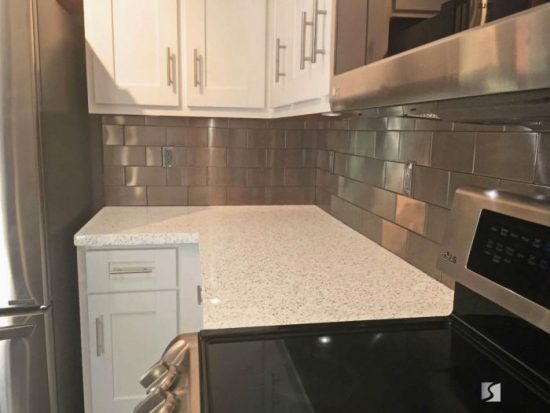 The most common are running bond / subway, stacked and herringbone. 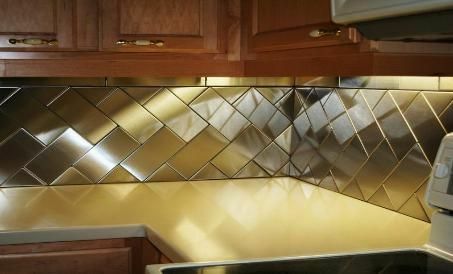 The 4 x 4 stainless steel half tile and the 4 x 4 x 5 1/2 stainless steel triangle tile are both useful for making the herringbone pattern. 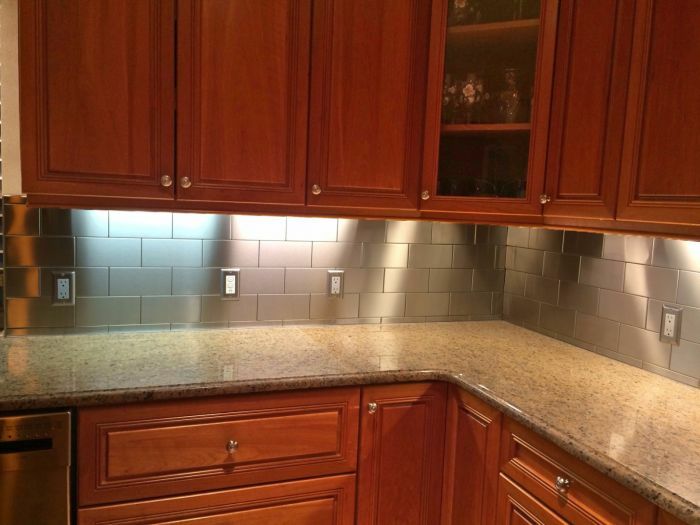 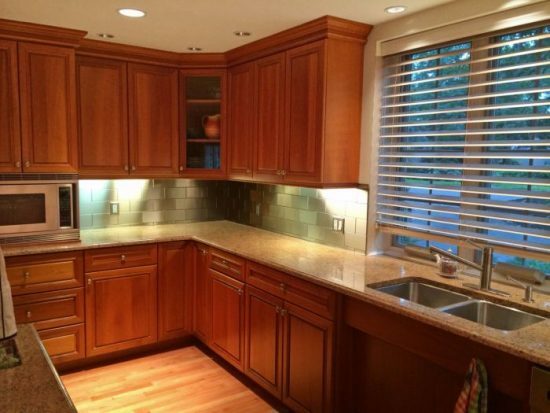 An example of the herringbone pattern is in the photos to the left. 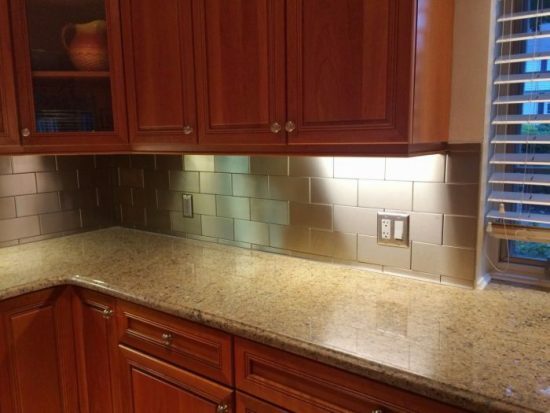 The herringbone picture also shows how under-counter lighting of different temperatures and colors can highlight the tile. 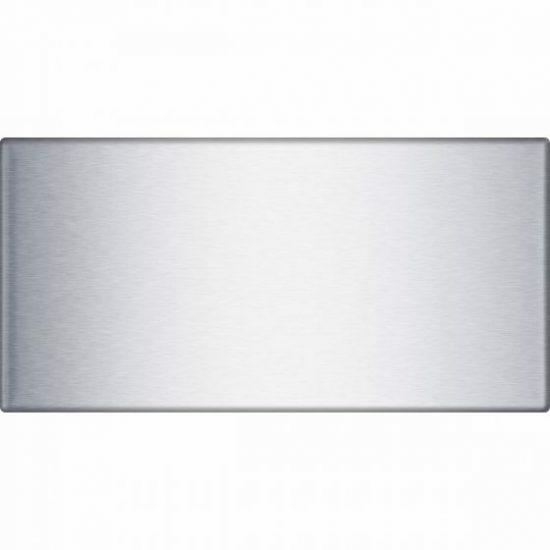 The “ultimate neutral”, brushed stainless steel reflects the texture and colors that surround it.